Welcome to the great outdoors: it's good for you! The chance to de-stress with your family comes alive with our "Camping & How" guide. You're gonna love what our great state has to offer. Dome tents, tear drops, A-frames, Airstreams ... camping is happening big time and shows no sign of letting up. 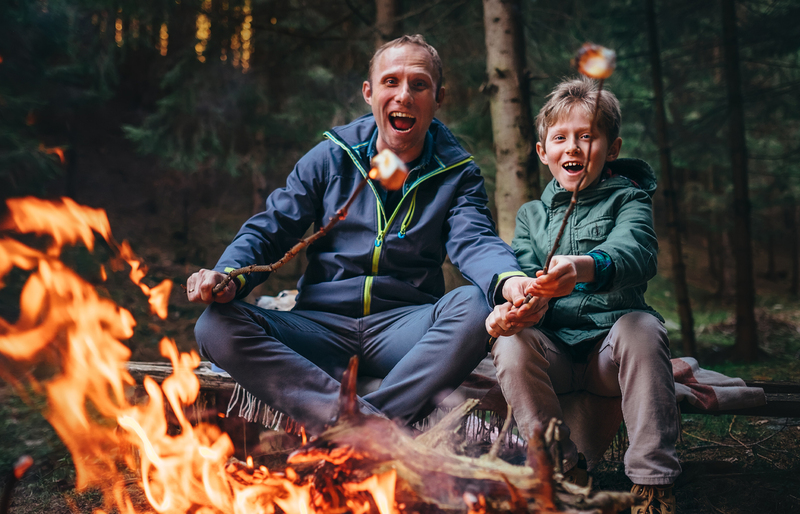 “There seems to be a big resurgence in getting outdoors and camping,” says Toby O’Rourke, CFO for Kampgrounds of America (KOA). There are now more than 75 million active camper households in the U.S.
“Year over year, people consistently say camping allows them to relax, spend time with friends, be active, and it contributes to their well-being.” And kids are loving it, too. “We’re seeing that once younger campers experience the outdoors and benefits of camping, they become hooked on it, too,” O’Rourke adds. BLEDSOE CREEK: TN State Park. Fifty-seven level campsites and six miles of scenic trails. $25 - $35 a night. CADES COVE: Great Smoky Mountains. Easy access to nature trail. More than 160 sites. A popular camping destination in the Smokies (especially for cyclists). $40 - $75 a night. CEDARS OF LEBANON: TN State Park. More than 87 campsites. $25 - $35 a night. COSBY CAMPGROUND: Great Smoky Mountains. More than 100 campsites available on a first-come basis and 42 available to reserve. $17.50 a night. EDGAR EVINS: TN State Park. On the shores of Center Hill Lake, find 60 tent and trailer campsites. $11 - $35 a night. FROZEN HEAD: TN State Park. Twenty rustic campsites in addition to backcountry camping. $15 - $35 a night. HENRY HORTON: TN State Park. Located near the Duck River, find 19 tent-specific sites and 56 RV sites. Wi-Fi is a recent addition. $11 - $35 a night. FALL CREEK FALLS: TN State Park. One of Tennessee’s largest and most popular state parks. Hundreds of standard and premium camp sites. $11 - $25 a night. MONTGOMERY BELL: TN State Park. Tent and RV sites. $15 - $35 a night. SOUTH CUMBERLAND: TN State Park. Great hiking and 26 rustic campsites for tents or small trailers.$18 - $35 a night. Get more Tennessee State Parks info HERE. Get more Great Smoky Mountains National Park info HERE. ANDERSON ROAD REC AREA Opens in May. Percy Priest Lake; $16 - $40. BUFFALO RIVER RESORT Tent camping $8 per person a night; RVs $39.50. CAGES BEND In Gallatin on Old Hickory Lake. Camping loops with sites; $30 - $35. CEDAR CREEK In Mt. Juliet on Old Hickory Lake. Sixty sites; $30 - $50. DEFEATED CREEK PARK On the banks of Cordell Hull Lake on the Cumberland River; 155 sites; $22 - $100. HORSESHOE BEND MARINA On Center Hill Lake; $20 a night for tent camping; Glamping $75 a night; RV sites $25. LORETTA LYNN RANCH Located in Hurricane Mills; tent camping $20; RVs $40. NASHVILLE EAST/LEBANON KOA For info, call 615-449-5527; to reserve call 800-562-7028. NASHVILLE KOA Near Opry Mills. To reserve, call 615-889-0282. Tents, RVs, extended stays. NASHVILLE SHORES On Percy Priest Lake, some waterfront sites. RVs only; $55 - $70. Discounts for water park. NORTH NASHVILLE KOA Goodlettsville. For info, call 615-859-0348. To reserve call 800-562-7624. POOLE KNOBS Opens May 1. Eighty-seven campsites around Percy Priest Lake; $16 - $50. SAFE HARBOR RV RESORT At Elm Hill on Percy Priest Lake; $95 a night; two-night minimum. SEVEN POINTS CAMPGROUND In Hermitage on Percy Priest Lake, 59 campsites; $22 - $120. TWO RIVERS CAMPGROUND Near Opry Mills. Cost per night based on requested amenities. TIMS FORD STATE PARK Located in Winchester. Fifty-two RV and tent sites. $25 - $27. Click HERE for "Southern Glamping to Sigh For." Cook over an open fire or on a portable gas grill — or both! The key to successful campsite cooking is planning ahead. Sit down and schedule out each meal before you go so you can shop & pack. Foil packet meals make fast and easy options; prepare them in advance & pack in your cooler before leaving home. Do as much food prep as possible before heading out (dicing onions, boiling pasta, etc.). 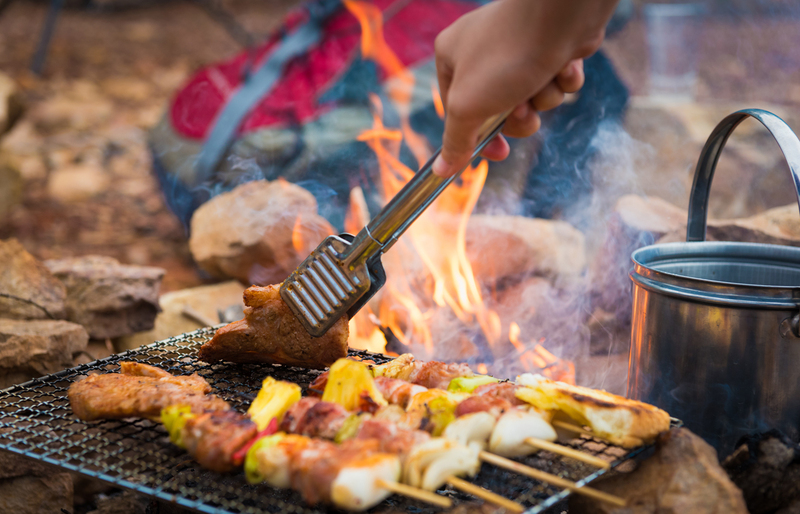 Click HERE for tasty, easy, kid-friendly campfire recipes. You sort of need to be like a production director when it comes to camping gear! Anything can happen with the kids outdoors for extended periods of time. From too much sun to a surprise bite, be diligent about covering your bases by bringing along your mom-approved First-Aid Kit and being ready for anything. Be sure to bring sunscreen and follow the American Academy of Pediatrics’ (AAP) guidelines: Use at least an SPF 15 and apply it at least 30 minutes to exposure. Reapply every two to three hours. Keep babies out of direct sunlight — an extra pop-up tent is handy for keeping Baby in the shade. Guard against insect bites by using repellents containing DEET. The AAP says to only apply it once a day on older kids — do not use on ages 2 months and younger. Apply it after the sunscreen. You can also use insect-repelling bracelets. Wear long pants and light, long-sleeved shirts when hiking. Know toxic plants. Poison ivy, oak and sumac are prevalent in spring, summer and fall. As the old adage says, “Leaves of three, leave them be.” If you brush against them, wash the skin with soap and water for 10 minutes. Wash clothes and shoes, too. Always have your child’s allergy medication on hand and be aware of the seasonal swings of allergens in the outdoors. Grass pollen kicks up in February/March, tree pollen starts early April. Ragweed surfaces in July/August, and a second season of grass allergens can arise October through early November. It’s important to have at least one parent who knows CPR. Bring all prescription medications along with extra pain and allergy medications. Choose a campsite with higher elevation in case it rains. Protect the bottom of your tent by laying a tarp on the ground. Keep all items away from the walls of your tent on the inside to prevent water pulling through the fabric. Keep extra tarps on hand and erect a canopy over your eating area. Hang a clothes line (away from where the kids play) for hanging wet items. Sleep with your next day’s clothing inside your sleeping bag. This makes them warm and ready for cold mornings. Plastic storage totes are great for keeping items dry. Don’t frighten your kids about wild animal encounters — educate them. Wild animals don’t like being around people, but it can happen. Be prepared for black bear encounters in the Smokies by visiting nps.gov/grsm/learn/nature/black-bears.htm. Always store your food items in tightly fitting plastic bins when you’re away from your campsite. Store in your vehicle for the best results. While many RV sites now include Wi-Fi, the whole point of being with your family in the outdoors is unplugging! Enjoy family time at your campsite. Click HERE for great ideas, games, reads and more. Rent campers and RVs. They’re parked in specific locations to make the experience that much more easy on you. Search and book campsites on ranches, farms, vineyards and beyond with tents, tree houses, yurts, Airstreams, RVs and more. The rural version of Airbnb, book private land and fully-equipped campsites including a set-up canvas tent. 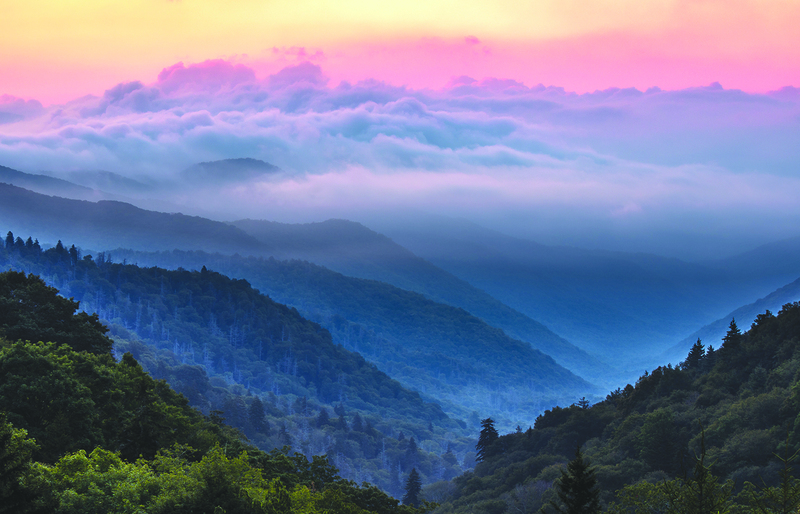 Glamping in the Great Smoky Mountains, Yellowstone, the Grand Canyon and more. Rent a variety of towable or drivable RVs directly from a local owner — even pop-up campers. Rent an RV and pick it up from a local retailer. Large, standard, compact or truck models available. The home of Nashville RV, rental options include small travel trailers and towable or drivable motorhomes. Rent a mini trailer; three different styles to choose from with free delivery to numerous local camping areas listed on website. For any group campout at Barfield in the ‘Boro, a Wilderness Awareness Workshop is mandatory. The Wilderness Station hosts a Wilderness Awareness Workshop on April 23 & 26 at 6 p.m. and on April 27 a 3 p.m. Lighthearted sessions cover campground etiquette and “Leave No Trace” information. For ages 6 and older, call 615-217-3017 or e-mail outdoormurfreesboro@murfreesborotn.gov. The Wilderness Station at Barfield Crescent Park in Murfreesboro hosts a Family Campout April 27 - 28. Open to all ages, it’s a great first-time experience if you have young children. The overnight tent-camping experience includes guided night hikes, games, campfire songs, s’mores and more. All equipment and gear is available upon request (or bring your own). Dinner and breakfast included. It’s $10 adults, $5 ages 5 - 12, free ages 4 & younger. Check-in at The Wilderness Station is from 4 - 6:30 p.m. Prior attendance to a Wilderness Awareness Workshop required (see above). Call 615-217-3017 or e-mail outdoormurfreesboro@murfreesborotn.gov. Experience an overnight camp session with the family on two different nights — May 25 - 26 and Aug. 31 - Sept. 1. Ages 4 - 12 enjoy a variety of activities during the evening including crafts, hayrides, an animal show, inflatables, campfire with marshmallow roast and more — dinner, too. There’s a full breakfast the next morning along with zoo admission. Cost is $38 members ages 4 and older, $58 non-members ages 4 and older, $16 members ages 2 - 4, $30 non-members ages 2 - 4, $33 each for groups of eight or more. Learn more or reserve your spot online at nashvillezoo.org.